On May 15, 2015, we celebrate the 170th anniversary of the founder of gerontology, a foundational figure of modern immunology, aging and longevity science, and of modern medicine generally – Elie Metchnikoff (May 15, 1845 – July 15, 1916). For the proponents of healthy longevity and advocates of aging research, Metchnikoff has a special significance. Metchnikoff is of course known as a pioneering immunologist and microbiologist, a vice director of the Pasteur Institute in Paris, and the Nobel Laureate in Physiology or Medicine of 1908 for the discovery of phagocytosis (a major contribution to the cellular theory of immunity). Yet, he may also be well credited as “the father” of gerontology – the disciplinary term he coined. Both the terms “gerontology” (“the study of aging”) and “thanatology” (“the study of death”) were coined by him in the Etudes On the Nature of Man,published in 1903, which may mark the beginning of these scientific fields. To the present day, his scientific reputation has remained high around the world. In fact, Metchnikoff can be considered a unifying cultural symbol for many nations. Metchnikoff was either a direct originator or one of the primary researchers for a variety of key aging-ameliorating and life-extending methods, experiments and research programs that are still being followed today. They include in fact the first truly scientific theory of aging and longevity, based on meticulous histological observations and on a model of dynamic behavior of living tissues, in particular showing the critical role of the immune system (phagocytes) and intoxication of intestinal microflora (microbiome) in degenerative aging processes. Metchnikoff also made a foundational contribution to the discussions of the evolutionary theory of aging, in particular regarding the possibility of “programmed aging”. Thanks to him, there began the development of many practical geroprotective means, including probiotic diets, systemic and adjuvant immunotherapy (serum therapy, in particular the use of cytotoxic sera for tissue stimulation), the study of replacement therapy and regenerative therapy. In view of the immense significance of degenerative aging processes for the emergence of virtually all diseases, both communicable and non-communicable, and in view of the accelerating development of potential means to intervene into and ameliorate these processes for the sake of achieving healthy longevity, Metchnikoff’s pioneering contribution to this field assumes an ever greater global significance. The world is rapidly aging, threatening grave consequences for the global society and economy, while the rapidly developing biomedical science and technology stand in the first line of defense against the potential threat. These two ever increasing forces bring gerontology, describing the challenges of aging while at the same time seeking means to address those challenges, to the central stage of the global scientific, technological and political discourse. At this time, it is necessary to honor Metchnikoff, who stood at the origin of gerontological discourse, not just as a scientific field, but as a social and intellectual movement. There is a tradition to celebrate the anniversaries of great persons (scientists, artists, writers, politicians, generals) to promote the area of their activity and popularize their ideology. It may be hoped that, in this year, the anniversary of Metchnikoff can serve to promote and popularize the science and ideology of healthy life extension, including the state level. The “Metchnikoff Day” can provide an impulse for organizing topical meetings and conferences, a stimulus for research, and publications in the media, dedicated to Metchnikoff’s legacy and continuation of his life work – the study of aging and longevity. This may play a positive role not only for the advancement and popularization of research of aging and healthy longevity, but also for the promotion of optimism, peace and cooperation. 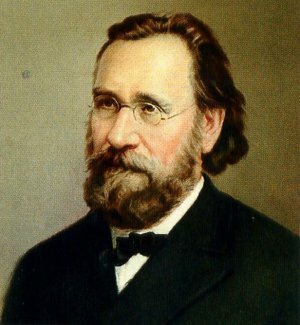 Events in honor of the Metchnikoff Day were held in Kiev, Ukraine, on behalf of the Kiev Institute of Gerontology of the Ukrainian Academy of Medical Sciences; St. Petersburg, Russia, on behalf of the Gerontological Society of the Russian Academy of Sciences and I.I. Mechnikov North-Western State Medical University; in Moscow on behalf of the National Research Center for Preventive Medicine of the Ministry of Healthcare of the Russian Federation, and further meetings in Moscow were held by several public organizations, including the Fedorov Movement, the Russian Transhumanist Movement and the Russian Longevity Alliance; Larnaca, Cyprus, on behalf of the ELPIs Foundation and the Cyprus Neuroscience and Technology Institute; Oxford, UK, on behalf of the Oxford University Scientific Society and Biogerontology Research Foundation; in Ramat Gan, in Bar Ilan University, Israel, on behalf of the Israeli Longevity Alliance and the International Society on Aging and Disease (Israel). It may be hoped that, following these examples, more events and publications will be held around the world in honor of this day. Thus thanks to Metchnikoff’s continuing inspiration and authority, the interest in aging and longevity research can be increased in all the walks and segments of society. And thanks to the increased interest and education, the research itself may intensify, producing an improved capacity to contribute to the achievement of healthy longevity for all. Department of Science Technology and Society. Bar Ilan University. Ramat Gan. Israel. “Dorot” – Israel’s main magazine for geriatricians and gerontologists – over 10,000 readers. Kiev Institute of Gerontology of the National Academy of Medical Sciences of Ukraine.